This is this the easiest ice-cream you will ever make, and the best part is, you don’t need churner! If you’re planning to stay in this Valentine’s Day, then whip up this indulgent pistachio ice cream for your honey. 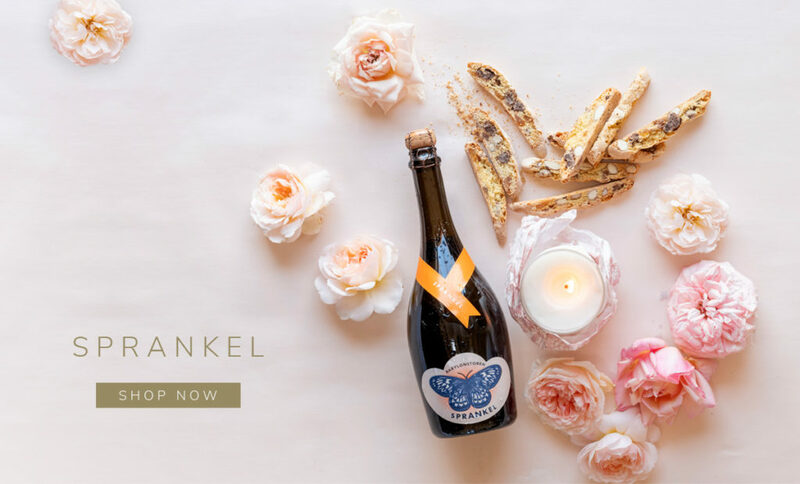 It goes down really well with a glass (or two) of Babylonstoren Sprankel – a blanc de blanc Méthode Cap Classique made in the traditional Champagne method. Whisk the cream on a slow mixer speed until it reaches the soft peak stage. Be careful not to over-beat the cream. Add the cold condensed milk and whisk faster until the mixture thickens. Fold in the essence. Transfer to an airtight container and place in the freezer. Freeze for at least 8 hours. Use a clean Arum lily with the pollen carefully removed. To remove the pollen, slice through the bottom of the flower into the stem. Rinse the flower carefully under running water to make sure that all the pollen has been completely removed, as it can be poisonous. 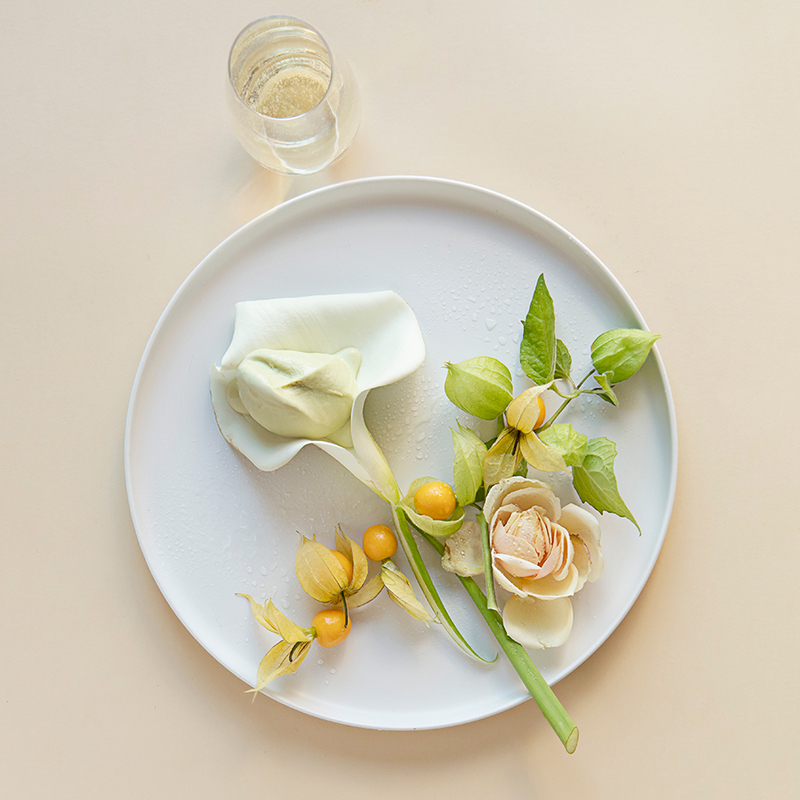 Dry the flower carefully and place a piece of wax paper under the ice cream so as to prevent the ice cream from coming into direct contact with the flower, as the flower could also cause irritation. Serve with fresh gooseberries. Alternatively, place the ice cream on the Arum lily leaf, as the leaf is not poisonous. Alternatively serve the ice-cream in a day lily, fig leaf or hibiscus flower.